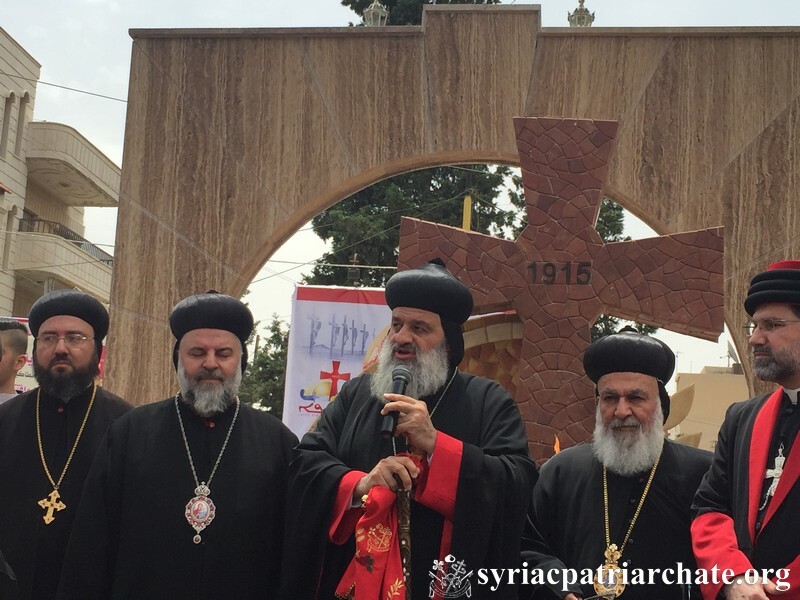 His Holiness Patriarch Mor Ignatius Aphrem II inaugurated the new Sayfo Monument in Qamishli. 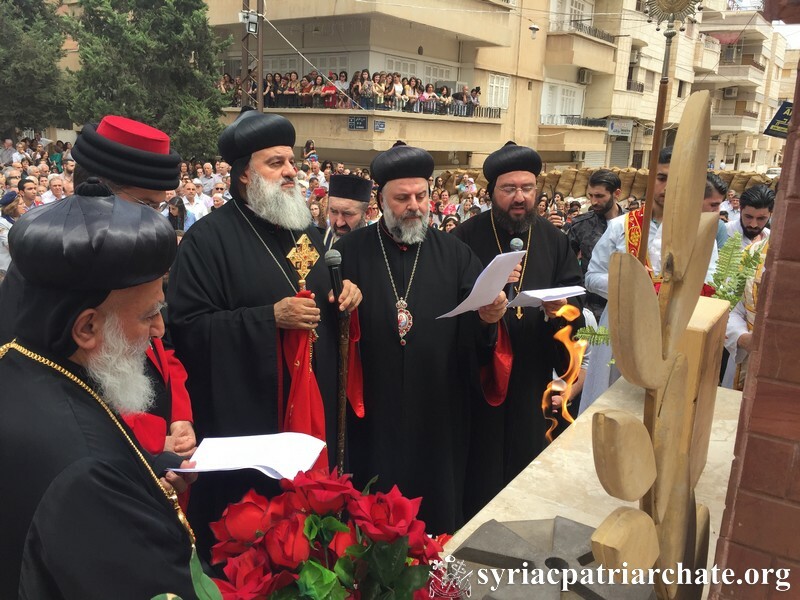 The Sayfo Monument was edified for the 101 commemoration of the Syriac Genocide Sayfo. 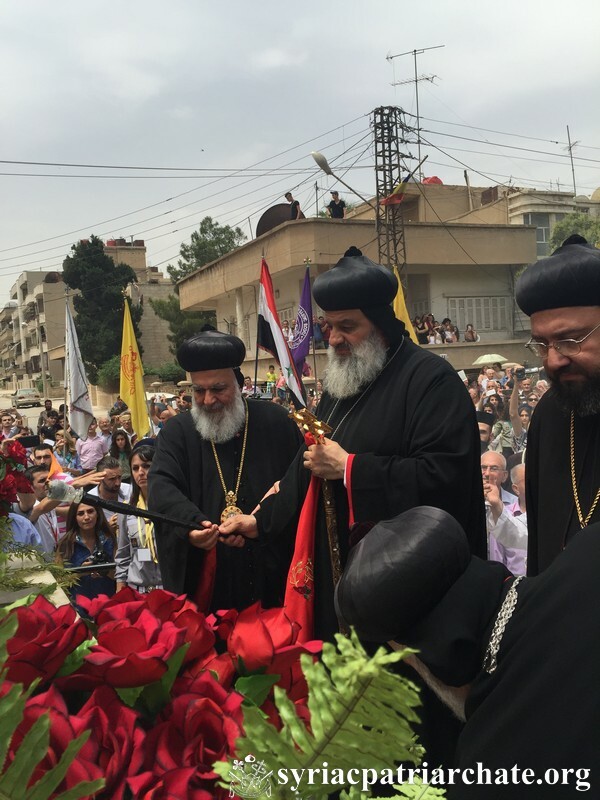 His Eminence Mor Theophilus George Saliba, Archbishop of Mount Lebanon and Tripoli, and their Graces Mor Maurice Amsih, Patriarchal Delegate for the Archdiocese of Al-Jazeerah and Euphrates, and Mor George Kourieh, Dean of Mor Aphrem Theological Seminary in Maarat Saydnaya and His Eminence Mor Aphrem Nathanael, Assyrian Archbishop of AL-Jazeerah were also present. After the walk from St. Mary Church to the monument, His Holiness presided over a special prayer for the martyrs and dedicated the monument. 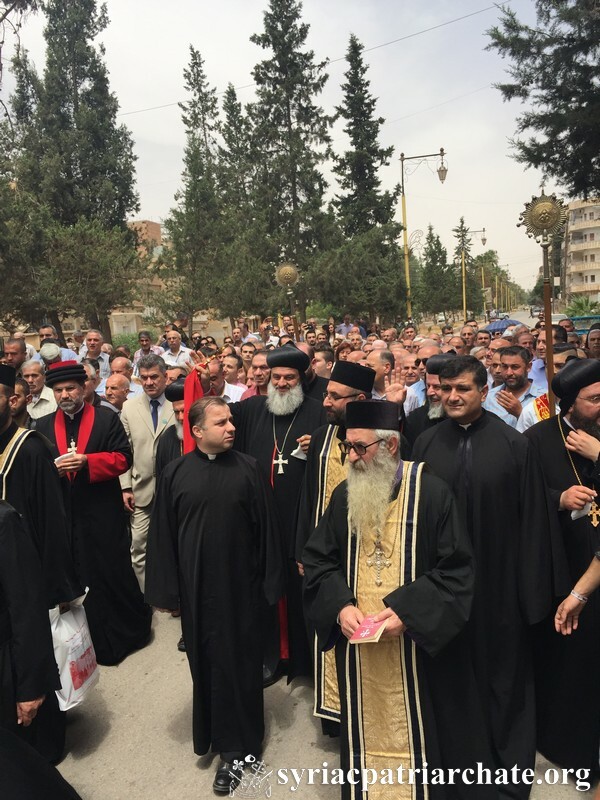 This entry was posted in Featured News, News and tagged Maarat Saydnaya, Mary Church, Mount Lebanon, Sayfo Monument, Syriac Genocide Sayfo by Orthodoxy Cognate PAGE. Bookmark the permalink.